For railway bridge over River Nethy (adjacent to SW), see NJ02SW 85. 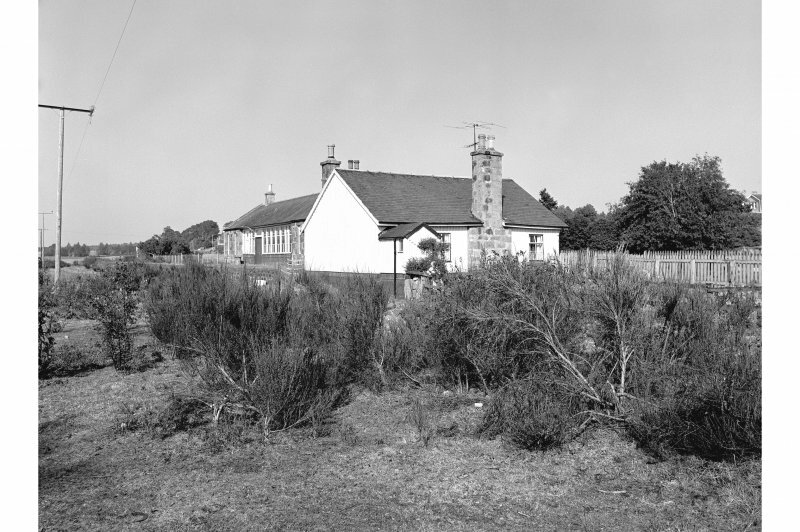 Station (GNoSR) opened from Dufftown 1.7.1863 (Strathspey Railway), closed 18.10.1965. (Location cited as NJ 001 206). Nethy Bridge Station, opened 1863 by the Strathspey Rly. An attractive single-storey rubble building, with wood and glass central portion. Disused. This intermediate station on the Boat of Garten - Carigellachie ('Speyside') line of the former Great North of Scotland Rly was opened (as Abernethy Station) by the Strathspey Rly on 1 July 1863. It was renamed Nethy Bridge station on 1 November 1867 and closed to regular passenger traffic on 18 October 1965. Inbformation from RCAHMS (RJCM), 14 December 2000.